Cagayan de Oro City is known to be the melting pot of Mindanao because it has grown tremendously from being a farming-fishing area in the 1900’s into a booming city of trade, commerce, and tourism and now one of the must-visit places in the country. Cagayan de Oro City has always something to offer for almost everyone. If you prefer to experience nature, the beaches and the mountains are just nearby and readily accessible. If you are the adventurous kind, you must try and experience the majestic Cagayan de Oro River with the river rafting adventure, explore the caves, and the adventure parks. These breathtaking environments have been known to be a must try for people who want to unwind and relax. What’s best is that it’s available all throughout the year. If you are not that much of an outdoor person and prefer shopping, the city also has a good number of shopping malls to offer namely SM, Ayala – Centrio, Limketkai Center, and Gaisano. Most, if not all, carrying the signature boutiques and shops one fashionista would aim to check out. These and a whole lot more. In the event you decide to visit Cagayan de Oro, there are also a number of hotels and condotels to choose from, like Primavera Residences, that offers both accommodation and assistance to travelers. They assist travelers from the newly launched Laguindingan airport to your destination on modern and comfortable shuttles. Their structures and buildings are eco-friendly too! Something people should really support. 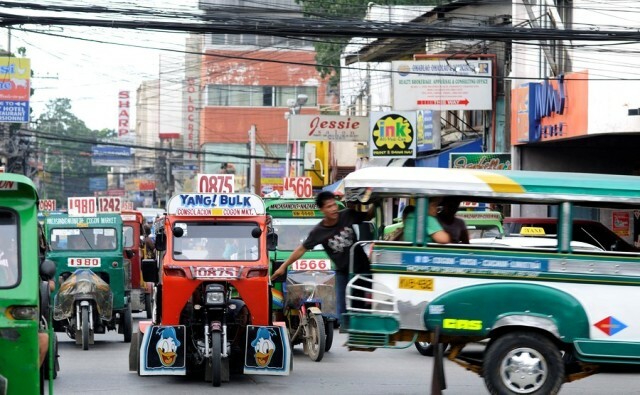 In going around Cagayan de Oro City, there are a number of ways to get transported, you could get a taxi with a flag down rate of P40.00, a Motorela ( CDO’s tricycle version) which would cost P7.00 only, and Jeepney which costs P7.00 to P10.00, depending on the distance of where you are going. Tour packages are also readily available with the city tourism office along with licensed tour guides to assist you. Itineraries already setup and prepared for an individual or a group. You get to tour around the must see spots, must try food, and the places to be all around the city. If you haven’t explored this amazing city yet, maybe it’s about time that you do. Traveling to Cagayan de Oro? Need assistance on booking a hotel, transfer and ground transportation? Click here for immediate assistance.